Until June 30, Villareal’s radiant works are on view at Conner Contemporary Art. Villareal produces his kinetic light sculptures in editions; our Scramble is number two in an edition of three. At Conner Contemporary, the artist is showing Scramble in both a large size (5 x 5 ft) and a small size (2 x 2 ft), along with other works. 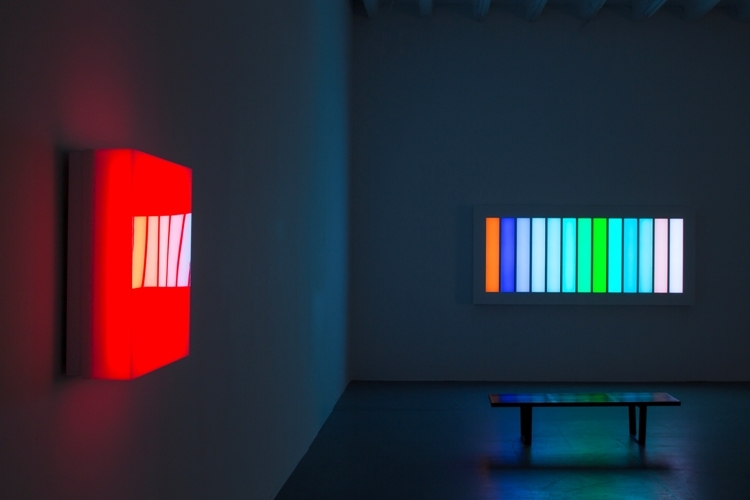 If you are intrigued by Villareal’s work at the Phillips (and the National Gallery) and would like to see what else he has done, until the end of this week Conner is the place to discover more work by the artist who uses light as his palette.